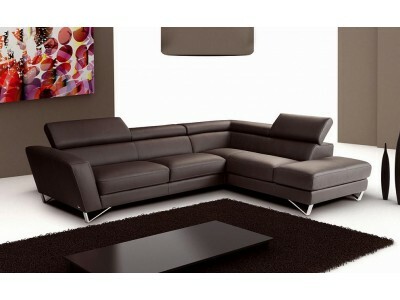 Sparta grey leather sectional sofa is manufactured by one of the famous Italian brands Nicoletti. Featuring full Italian top grain T5 leather all around which is the highest grade that Nicoletti offers. 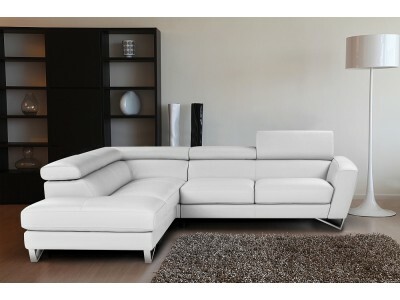 You can find one that fits your living room layout since it is available with left or right facing chase configuration. Bring luxury modern style into your living room and enjoy more comfort and unique design in your home. 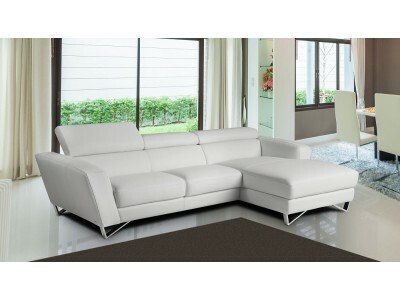 It consists of two pieces sofa and chase that offer very comfortable seating with plenty of space to relax. At the top you will find three adjustable headrests so you can find your perfect comfort level. 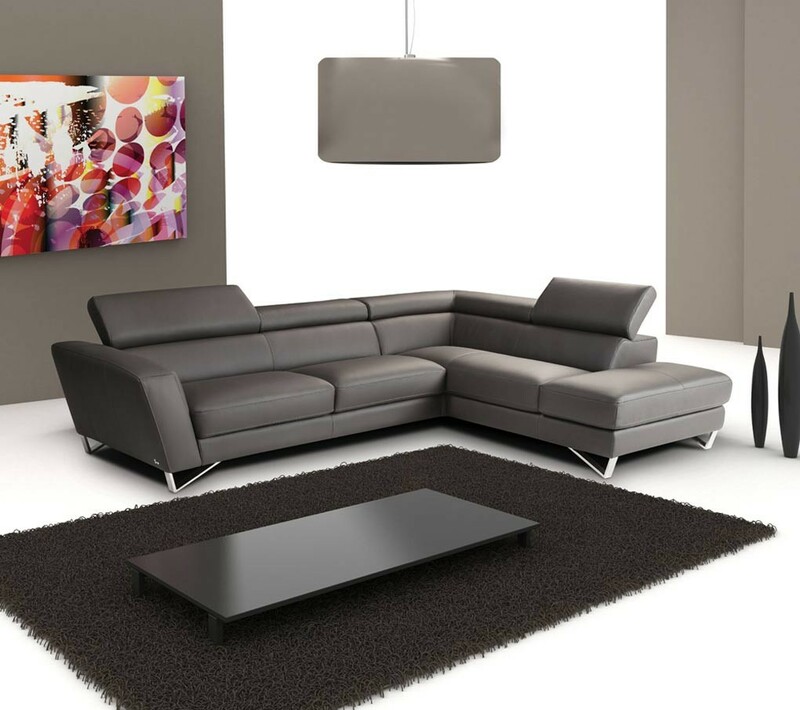 This feature also slightly changes the overall design of the sectional since its top will look different depending on the positions of the headrests. 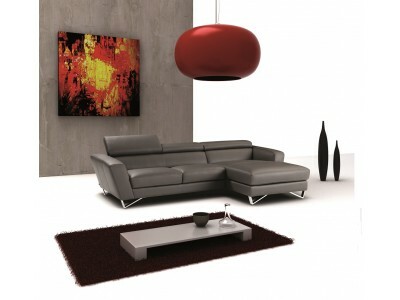 It stands on a sleek stainless steel legs that are padded to protect the floors.